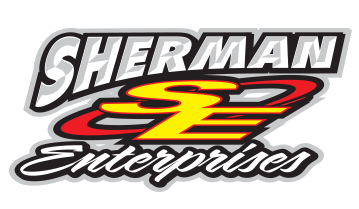 Sherman Enterprises - 15IN Containment Seat & Cover 18 Deg. 15IN Containment Seat & Cover 18 Deg. KIRKEY RACING ALUMINUM LATE MODEL, IMCA MODIFIED SEAT KIT. Designed for Dirt Late Model, Asphalt Late Models , Midwest Modifieds, Street Stock, Crate Late Models. Five (5) sizes available, (14", 15", 16", 17",18-1/2"). Kit comes with black cloth cover. 18 degree layback. Easily removable cover has additional ½" energy absorbing padding for extra lumbar support. Designed to accommodate all head and neck restraints. Constructed from TIG welded .100" 5052 grade aluminum. Additional MIG welding adds strength. Contoured elongated bottom reinforced for added thigh and hip support. Energy absorbing padding on seat bottom. Rib and reinforced shoulder supports have extra 1/2" energy absorbing padding directly on seat. Head restraint is adjustable both vertically and laterally and uses molded high density energy absorbing impact pads that eliminates upholstery. Head restraint can also rotate down for additional peripheral vision. Fabricated aluminum connector brackets for easy head adjustment. Left side of head restraint angled and shortened to allow easy entry, exit. Right and Left leg extensions built in. Lap and sub belt openings have molded rubber grommets to eliminate belt wear. Designed to accommodate all seat belt systems. Mounts direct to chassis or use mount listed below. KIT design reduces shipping cost.